Veterans served the country and made the ultimate sacrifice to defend our lives and our freedom. At Lindquist Mortuaries and Cemeteries, we are proud to do our part in honoring the country’s veterans. We understand the special needs of the loved ones they left behind, which is why we offer assistance in funeral services and veterans benefits. We also guide them and their families when it comes to Veterans headstones in Bountiful, Ogden, and the surrounding areas. The Department of Veterans Affairs or VA provides a government headstone for unmarked graves of an eligible deceased veteran at no charge. If the deceased died on November 1, 1990 and beyond, the government may also provide a marker for graves already marked with a private headstone. Families may choose either a traditional marker or a modern one. The eligibility requirements for a VA headstone are the same as for interment in a government cemetery. VA cannot issue a marker for a family member laid to rest in a private memorial park. 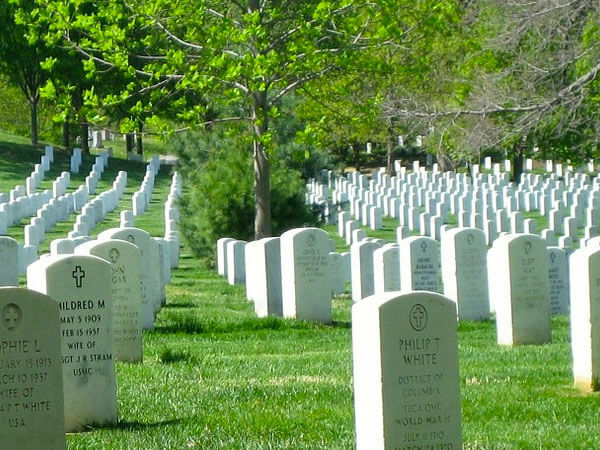 Twenty-year reservists who are not in active duty are entitled to a headstone, as long as they are eligible to military retired pay at the time of death. Lindquist Mortuaries and Cemeteries provides friendly, compassionate, and caring services. Our professional staff has decades of experience in handling veteran funeral matters, and they are dedicated to taking care of all the details involved. If you have any questions regarding your eligibility or that of a loved one, wish to inquire about veterans’ headstones in general in Bountiful or Ogden, call us at (877) 394-6667.